When a marriage or relationship ends there is often many challenges to consider, one of the most common is the division of property and achieving a final property settlement. Velos & Velos Family Lawyers are ready and able to help you if both parties consent to reach an amicable, equitable and fair settlement in a timely manner regardless of whether you were party to a marriage or a defacto relationship. Velos & Velos Family Lawyers have many years of experience in Family Law disputes and litigation. 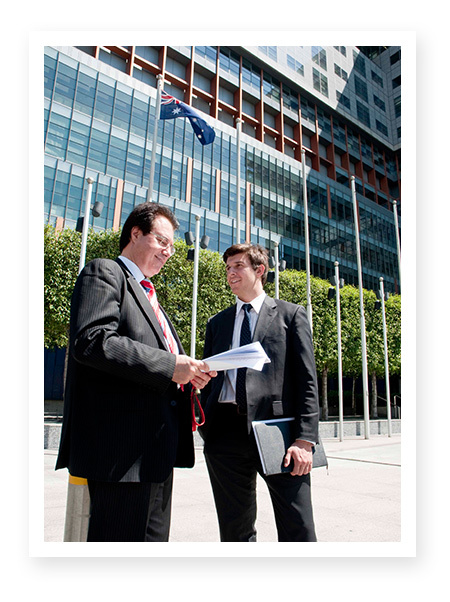 If no Settlement is reached they are ready and able to help you through the legal and pitfalls and Court processes. In many cases however we are able to help our clients reach fair, equitable and binding agreements without the necessity of expensive, stressful and complex legal proceedings. Many people going through a separation or divorce find themselves short changed at the end of the legal process. Property division or Property Settlement can be complex, risky and uncertain as to the final outcome. Having Velos & Velos Family Lawyers represent you who have many years experience in Family Law cases, Property Division and Property settlements by your side, help you understand the legal and Court process and what should be reasonably expected as a final outcome in your Family Law matter. With us at your side you can be certain that we will provide sound timely advice as to what the courts would most likely rule if your Family Law matter went to court. Understanding what you are entitled to, and what a court would likely rule is a powerful tool in negotiation and we are able to guide and advise you to achieve a successful outcome. If both parties are aiming for realistic outcomes then matters can be resolved and settled quickly, cost effectively and thus avoid or reduce the stress, uncertainty and inconvenience and significant legal and other costs of Family Law litigation. We are ready and able to help you through the complexities of a separation or divorce process in order for you to achieve early settlement and save you significant amounts of money, stress and inconvenience. Separation or divorce can be quite a stressful situation, but we can make the process as simple and easy as possible and help you achieve a binding property settlement. We have great experience as we have negotiated many property settlements over 35 years. We have vast experience and know how to reach a favorable settlement that you won’t regret, with minimal cost, stress and inconvenience as possible. Our aim is to research the law that applies to your unique circumstances, work hard, be effective and practical in order to get you the best possible outcome in your circumstances with the least stress, in the least time,for the best value for money. Our goal is to get you the best possible outcome in your circumstances, so that you are able to make a new start in your life and plan for your future. In some cases that takes a very short time, in others it takes longer. We discuss advantages and disadvantages of your unique case and obtain your clear instructions and take legal action according to law, Court procedures and ethical Standards. In Family Law legal actions we are able to brief expert Family Law Barristers and other experts such as Valuers of property or chattels, child experts, doctors or psychologists or psychiatrists as may be required in Special cases to further help you obtain the best possible outcome in your Family Law matter. If we believe that pursuing Family Law legal action is not in your financial best interest we advise you and suggest that you reach a final settlement when it’s in your best financial interest to do so that you will be able to make an informed choice. The choices are in your hands to consider and to advise and instruct and be prepared to live with the choices you have made. Do not procrastinate or leave matters that may adversely affect your chances of success. Get in touch with us to find out how we can help you achieve your aims and objectives and achieve the best possible outcome in your Family Law unique circumstances.